Have you ever heard a Texas hold’em poker player boast: “I never bluff”? If true, he must be a consistent loser – “contributing” his money to the other players and the casino. Perhaps he or she even plays casino games online at tournamentgambling.com! In the long run for poker, bluffing skills are essential to winning. The key is knowing when and how best to make your bluffs. For reference, I would recommend my latest poker book, The Art of Bluffing. Actually, bluffing is more than an art; success requires both an understanding of probabilities (poker math) and logic – like a science. Psychology also plays a role. First of all, if you never – or hardly ever – bluff, your opponents soon suspect it. As a consequence, they become more cautious, realizing that you have a strong hand whenever you open-bet or raise. The result: More opponents muck their hands when you have a strong hand, and the pots you win shrink in size. 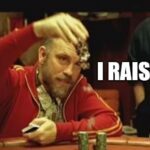 Playing in a casino where there is a cost-to-play – the rake, drop for a bad beat jackpot, and tip to the dealer – those smaller pots cannot cover those costs, so you’ll often end up a loser for the session. The opposite extreme – bluffing too often – may be even more costly! For a while, it may earn you some fairly decent-size pots, but sooner or later your opponents will get wise to you and call your raises more often rather than fold mediocre hands. That can be quite costly. Watch your chip stacks dwindle. Obviously, it makes good sense to bluff when it’s the right situation, which is not that often – perhaps once or, at most, twice per hour. READ MORE: One of the CRAZIEST bluffs I’ve ever seen! Bluffing is a form of deception. 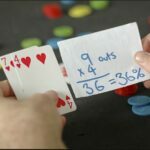 Bluffing skills are important, especially your bluffing tactics – how you plan to achieve your strategic goal for the hand underway. Many players know only one bluffing tactic: making a huge bet or raise. Opponents must stop and think about calling such a big bet. They try to guess what you may be holding, and often will fold to save their chips. This “standard bluffing” tactic is quite effective. But, the best bluffers are those who also use the Esther Bluff tactic (discussed in detail in my aforementioned book, The Art of Bluffing). The Esther Bluff is a series of actions and mannerisms – without uttering a word – that serve to embed your desired message into your opponent’s brain, convincing them that you hold a big hand – so he/she folds, leaving the pot to you. It also applies when you try to steal the pot in the early stages of the hand (there is a scientific basis for this tactic). 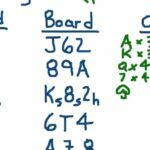 Reading your opponent’s hand – what hands are they most likely to hold based on the board, their betting pattern, and playing traits? Gauging the number of players you need to force out (the fewer, the better). MORE, BY GEORGE: What about Your Outs?